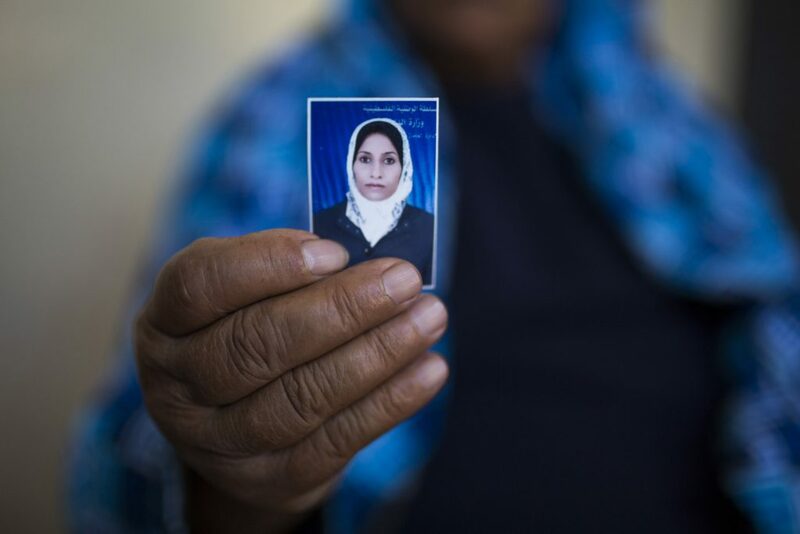 Photo: Fatma Suleiman al-Awadat (65) holds the photo of her daughter Layla, who was killed in the attack. Fatma was seriously injured and had to be transferred to the West Bank for medical treatment. She only found out about the death of her daughter one month later. The day of the attack, two drone missiles were launched at the house of the al-Awadat family, narrowly missing it. There wasn’t enough time to escape before an F-16 fighter jet fired at the house, destroying it completely. “I cannot forget what happened. 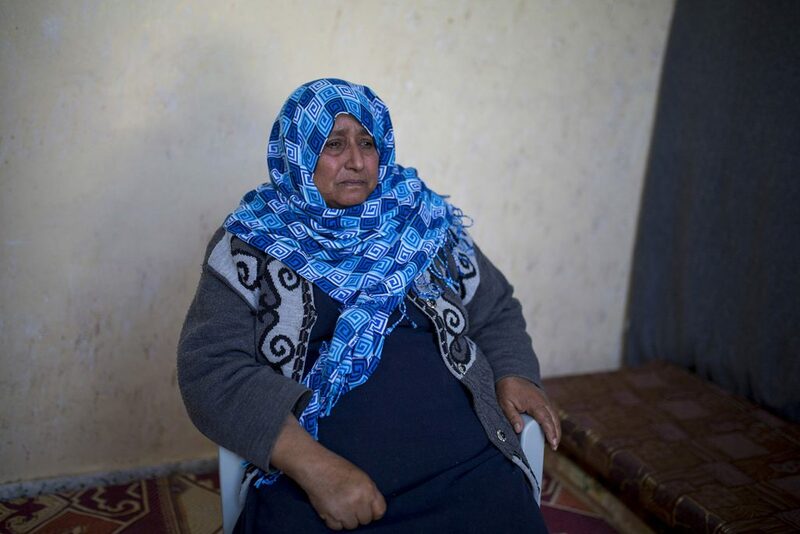 I wish Layla was still alive,” Fatma says.